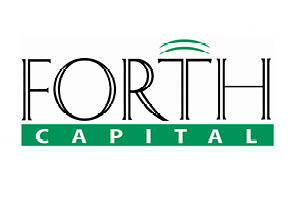 Forth Capital is a leading Tax and Financial advisory company, specialising in providing intelligent investment advice to international investors. Our company was created with the aim of helping those who aspire to be financially independent. We are experts in international tax planning, independent investment advice, wealth preservation and asset management. As a privately owned independent wealth management business, we are able to design and provide the finest solutions for our clients’ needs and to tailor investment solutions to the individual financial goals of each client. The launch of our Next Generation Morningstar Global Fund Series has seen Forth Capital awarded by its peers for Excellence in Investment Planning. Our goal was to keep to the forefront of our industry, bringing our clients lower costs, greater transparency and better services. On the back of this review Forth Capital commissioned Morningstar Investment Management Europe to develop and manage our Global risk rated investment strategies. Being expatriates ourselves, we understand your requirements better than anyone. We are dedicated to servicing our clients’ best interests and are arguably the leading company of our type offering wealth management solutions to the International Investor.